"We were very excited as we have always loved Barbie," said Kate Mulleavy. Added Laura, "We always loved all of her accessories, especially her shoes. We played with the dolls [growing up] and made fashion collections for them all the time! We even created runway shows with our Barbie dolls." 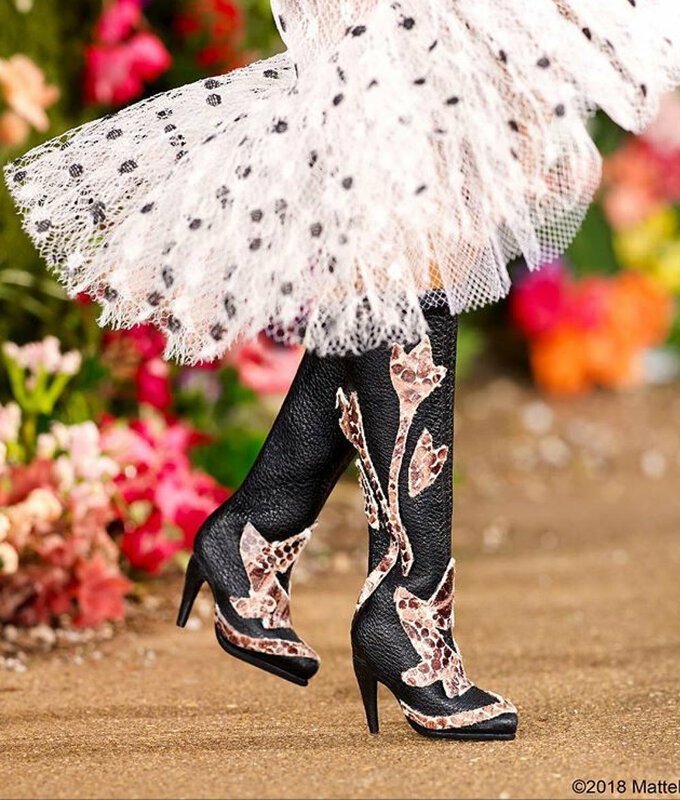 Rodarte used four designs from their spring 2018 collection that was shown in Paris in June 2017. Then they worked with the Mattel team to choose looks and fabrications that would translate in doll scale. 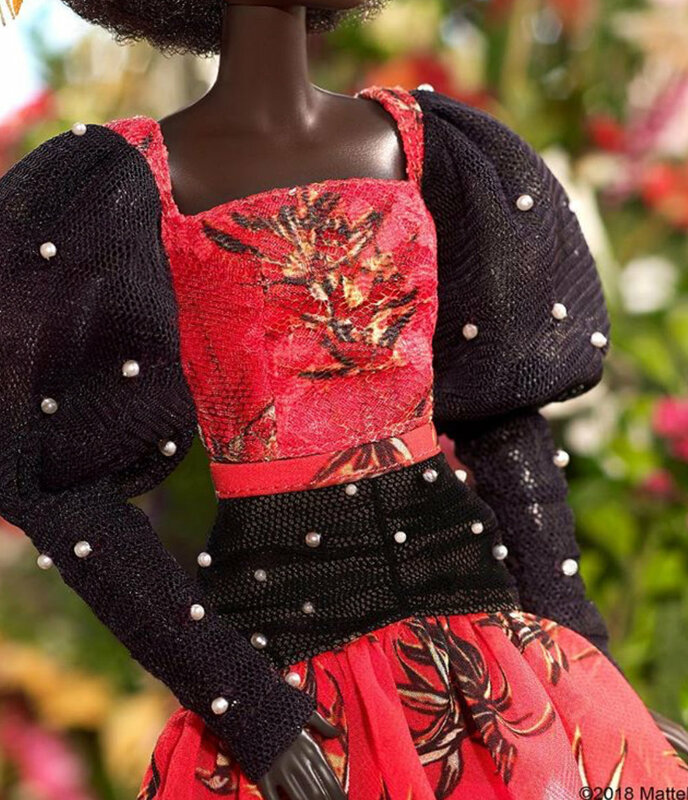 The dolls modeling the outfits use different body types and skin colors. 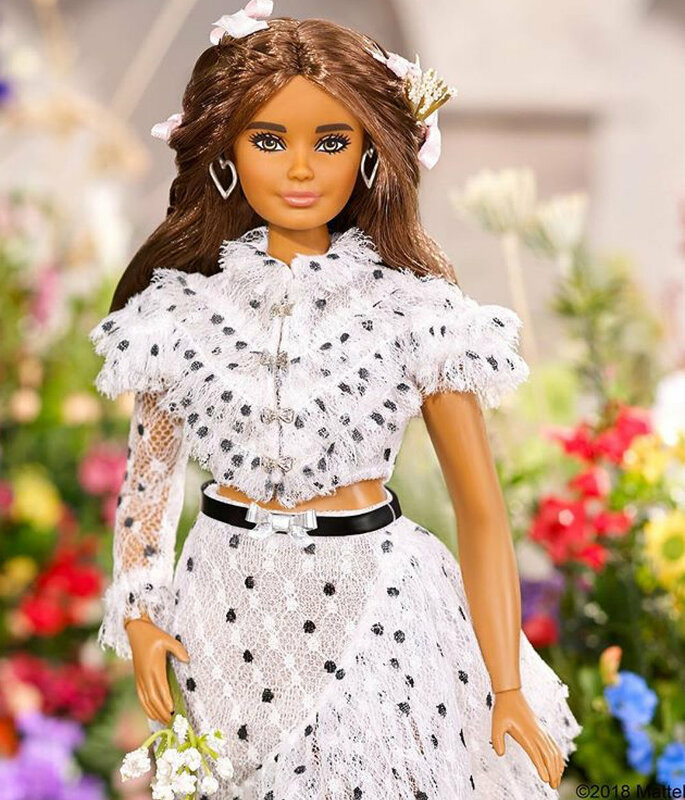 The designs, debuted Wednesday on @BarbieStyle's Instagram account. I love the attention to detail, even down to the miniature baby-breaths as used in the real runway. The dolls are one-of-a-kind and not available for purchase. Would you like to see them produced?